Davida has been making helmets for quite a few decades and the Speedster has always been one of their most popular lines. They have now updated the design to conform to modern safety standards and have achieved an impressive dual certification standard, adhering to both DOT and ECE 22.05 norms. What makes this even more remarkable is the fact that they’ve achieved this, yet managed to keep the Speedster’s ultra-low profile. The fibreglass shell closely follows the contours of the head and the sleek design provides a superb fit which avoids the helmet lifting at high speeds and provides a blissfully quiet ride. You’ll be comfortable too: the Speedster V3 has a luxurious leather lined interior hugging your head. The liner can easily be removed and swapped out for one of the five available colours. 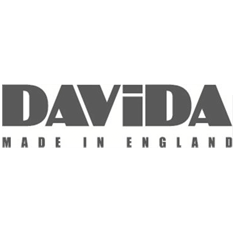 Like all Davida helmets the Speedster V3 is handmade in the UK. N.B. While the official Davida size guide is below, these helmets come up very small, and we usually recommend you take the next size up from what is recommended below. If you are on the cusp of two sizes, size up!